Must submit the attached application by May 1, 2019. Must graduate high school in May/June 2019. Must be a dependent of an active duty Brazoria County peace officer. May attend accredited college or university of choice. Must show academic aptitude for college level work. Must successfully complete a minimum of twelve (12) hours each semester in order to receive the full scholarship. Not restricted to specific field of study. 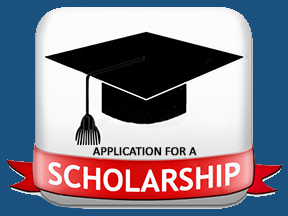 Four (4) county-wide $3,000.00 Scholarships -- $1,500.00 to be funded at the beginning of each semester for two consecutive semesters. Funding must commence the first sememter following graduation. Funding will be effected each semester upon presentation of recipient's current semester's registration/class schedule and college transcript reflecting a minimum GPA of 3.0. This information must be provided to the 100 Club of Brazoria County. Selection of the recipient will be determined by the Scholarship Committee of The 100 Club of Brazoria County.